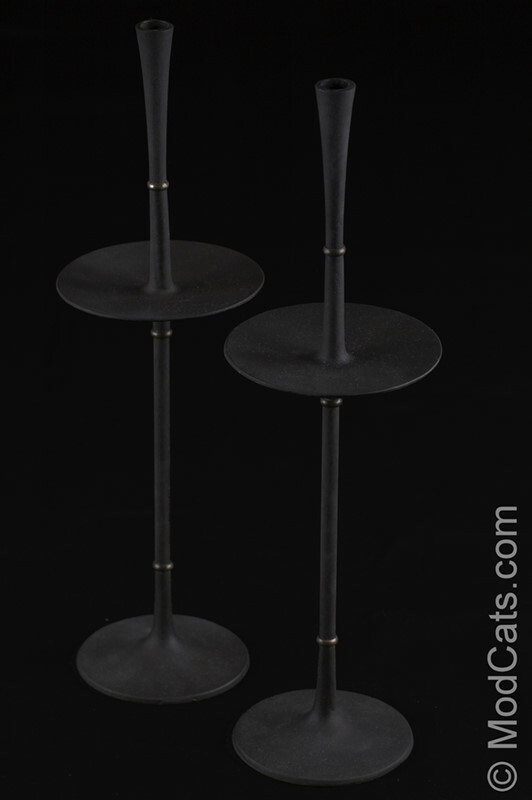 Early very rare Jens Quistgaard design for Dansk tall elegant cast iron candlestick pair. Each is formed from 4 separate cast iron pieces that are screwed together separated by brass bushings. Bases are stamped "Dansk Design I.H.Q. Denmark"